RUSH: Mike Huckabee just put out a tweet and this stuff is all true. 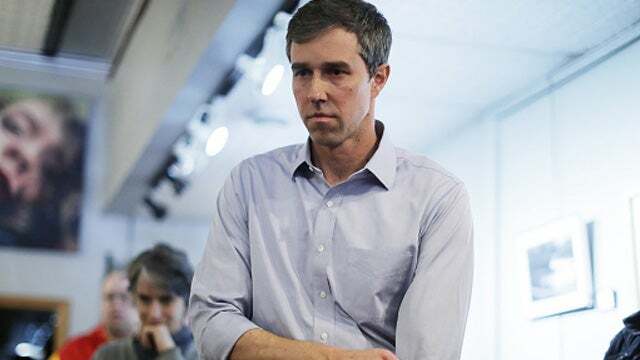 Have you heard the story about Beto O'Rourke after he lost his election to Ted Cruz, he didn't immediately go home and reacquaint himself with his family. He went on a personal redemption tour to eat dirt. Did you hear about this? Well, no, no. Not making it up. Beto O'Rourke -- first he's a member of this hacker community as a young guy, and he dreamed of running over kids with his car. Now we find out that he ate dirt after he lost his election to Ted Cruz. Did you know he fed his wife a baby turd under the premise that it was promoting familial relationships and health? Did you hear that? You didn't hear that? Okay. So Beto dreams of running over kids. Beto ate dirt after losing to Cruz. He fed his wife a little baby turd, just a tiny little thing, no big deal, he thought he was Hispanic at one time, and he used to hack computers. And George Conway thinks that Donald Trump has got some kind of mental disease! How in the world does Beto O'Rourke -- where is the George Conway of Washington examining Beto O'Rourke feeding his wife a baby turd? I'm sorry, folks, if it makes you uncomfortable here. Snerdley's face is so scrunched up and -- I know. Ate dirt because of the nutritional value and becoming one with nature and something about recharging his existence after such a depleting experience as the campaign. He thought he was Hispanic. Elizabeth Warren thought she was, what, Cherokee, an Indian. And they think Donald Trump is nuts? Ha-ha-ha-ha. Ha. We're going nuts! We're going nuts tracking all this stuff! Let's see. How about this Hickenlooper guy? In the first place, somebody named Hickenlooper is actually running for the presidency. That is a triumph of optimism over common sense. “Hi, my name is Hickenlooper.” What does that mean? “You don't want to know. But if I ever had to give you one? Ha! You'd find out.” You mean, you could give me a Hickenlooper? “Yeah, oh, but you don't want know what –" this guy is running for president, and he just killed his presidency. You know where this comes from. Joe Bite Me. I think this is a trial balloon. I can't really believe he's serious. Joe Bite Me, nickname Plugs, has decided he's gonna -- well, he's putting it out there that he’s really, really serious about making Stacey Abrams his vice presidential running mate. Now, who is Stacey Abrams? Well, she is an African-American Democrat, friend of Oprah's. You can't tell the two apart. And she ran for governor of Georgia and lost because of racism and bigotry and vote fraud and homophobia and global warming and thunderstorms. And it was really unfair what happened to her. Really, really unfair. She deserved to win because she’s big and African-American and a Democrat. She deserved to win, and she didn't. She lost to a Republican. It's just not fair. She had Oprah campaigning for her. Hillary we went in there and did a couple of things by video. She should have won. She didn't win. She was really cheated. No word yet on whether the Russians were involved. But, anyway, she was owed that seat, and American citizens in Georgia denied her that seat. So we've gotta get rid of the voting system in Georgia and we have gotta fix this, and the way to fix it is to make her vice president. That's the only way to pay her back for the indignity she suffered being an American and running for the governorship of Georgia and losing. How unfair! How un-American! How racist, how bigoted, how homophobic. I'm just throwing it all in there. I don't know if she actually thinks that. This is how the Democrats reacted. She was a slam dunk. She was gonna win. Remember she refused to concede after all the votes were in because of voter fraud, not enough felons were allowed to vote. I don't know what it was, but she was out there really, really ticked off. And so here comes Bite Me, 'cause, see, Biden thinks that the entire Democrat Party, the entire Democrat voting base thinks that Stacey Abrams is the greatest thing that's ever come down the Democrat Party pike except maybe for Obama. And the indignity, the indignity being denied the governorship of Georgia by a bunch of crackers in that state who didn't vote for her, the only payback, the only way we can make reparations is to make her vice president. That's what Biden is testing. He's testing to see if this is what Democrat voters think. This is what I think. I think it's a trial balloon, a leak designed to gauge reaction. And it also is a leak that's designed to make Bite Me look really, really good. He's willing to put an African-American woman on a ticket? Wow. What a great guy Bite Me is. That's how Democrats -- you don’t have to do anything. You just have to make it look like you appear open-minded, not racist, not bigoted, not homophobic and what have you. RUSH: Did you hear, folks, that Alexandria Ocasio-Cortez is livid at people over the pronunciation of her name? What did you hear about this? (interruption) Yeah. But for what? I mean, how was the name mispronounced? Did you hear? Well, it was Cortez. I've called her Cortez a bunch of times just to save time. Alexandria Ocasio-Cortez is a lot of syllables. 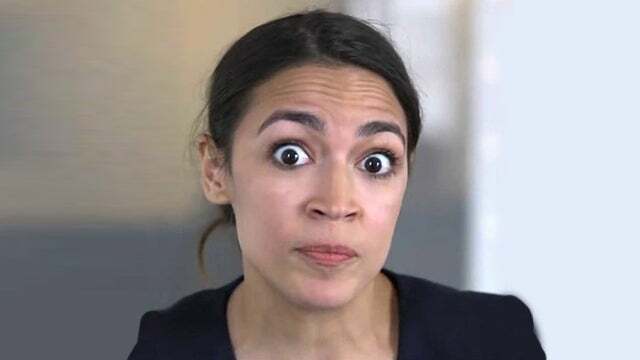 You know, I could probably save five minutes of programming time every program if I just said AOC instead of her name. Anyway, she got really offended. (paraphrasing) "I am not a Cortez. I've never been a Cortez. I've never called myself Cortez, my name is not Cortez. It’s Alexandria Ocasio-Cortez.” Very thin skin. Very thin. This woman bruises easily. All these leftists do. They think they are above criticism, that it's nothing anybody should ever even think of aiming at them.